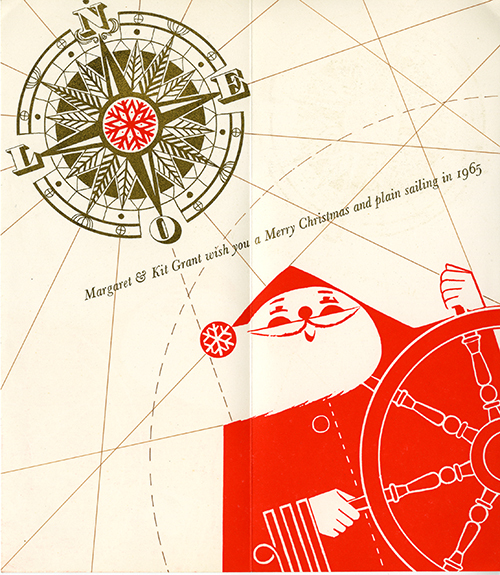 Many of you may have noticed the recent installation of the exhibition Merry Christmas! 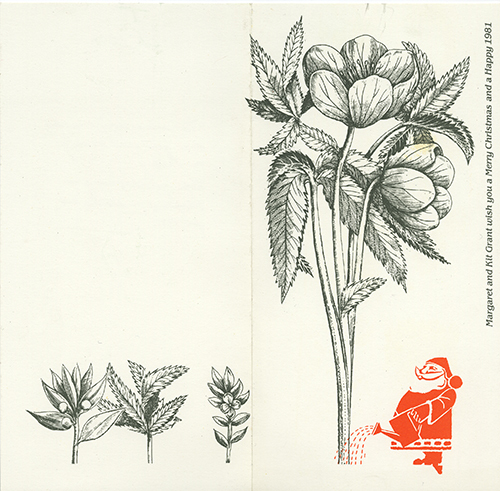 A History of GSA Christmas Cards in the Reid Building Ground Floor Corridor (this exhibition will be on until the 21st December).This exhibition features the work of a number of GSA staff and students who took the time to produce their own Christmas cards to send to each other. 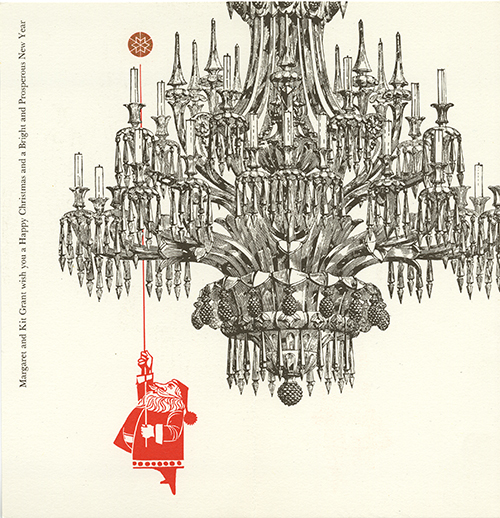 Today we celebrate a past member of staff and student represented in this exhibition who spent over 40 years working in, and establishing the Glasgow School of Art’s Interior Design Department. 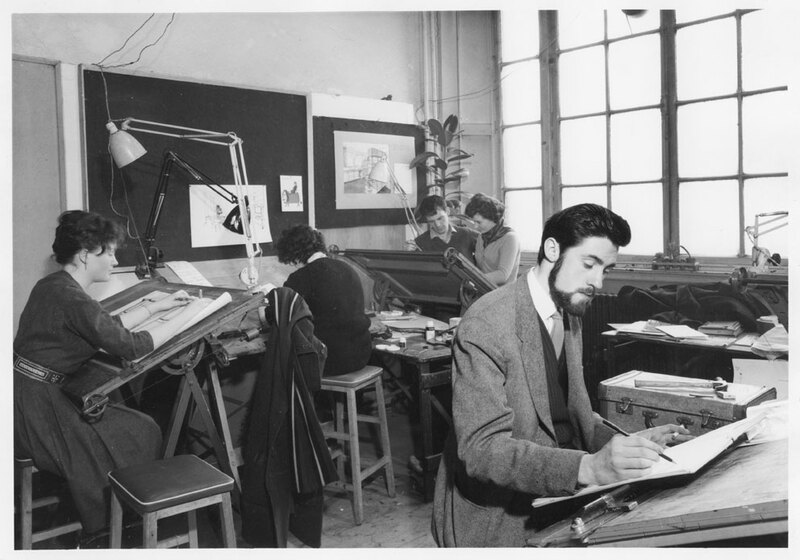 Margaret Grant first became associated with the GSA when she came to study Interior Design here between 1946-50, however her path was not as direct as others. 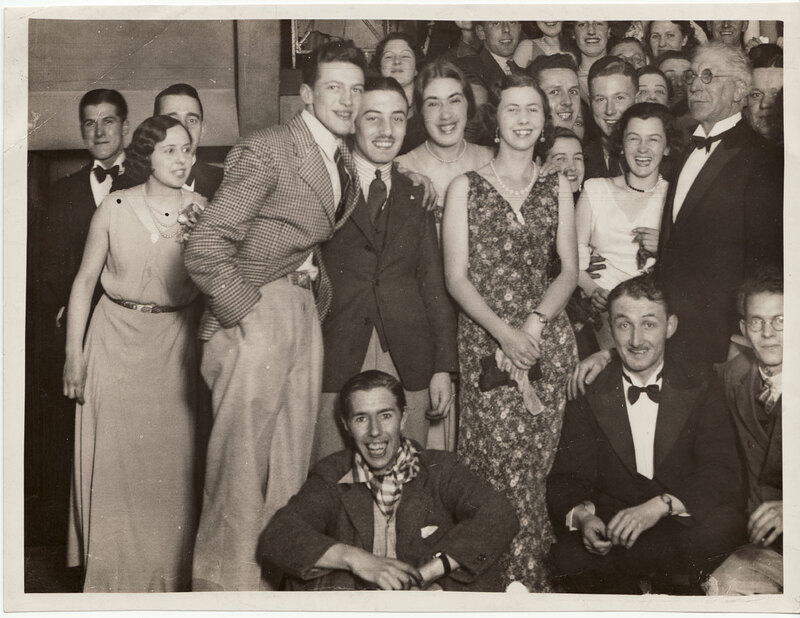 Margaret Grant studied music before the outbreak of the Second World War, however when the war began Margaret went on to spend four and half years felling trees as part of The Lumber Jills. Billeted to an old mansion on Loch Aweside Margaret describes the room she stayed in as the ‘red room’. Four walls, a ceiling and a floor all dark, dark red. When confronted with this rather uncomfortable decoration, Margaret went on to ask the owner for permission to decorate her room, and it was this first decorating project that led Margaret into Interior Design. 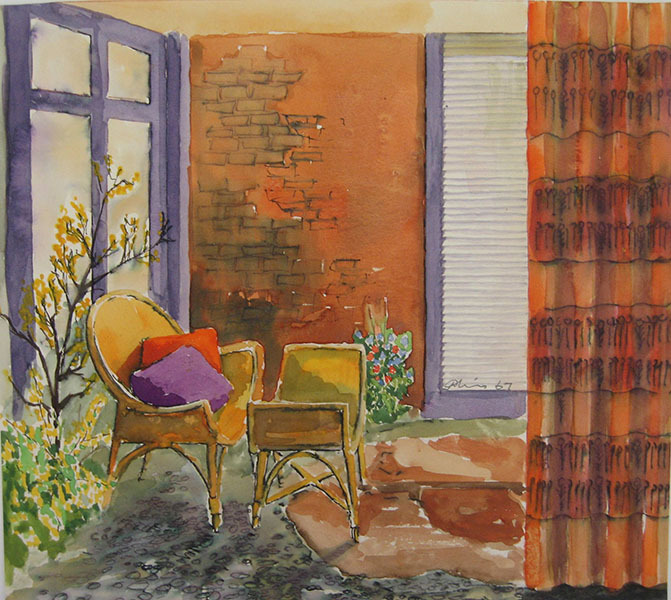 Margaret was accepted into the GSA and went on to study Interior Design until 1950. After studying and working at the School part-time Margaret was offered a full time staff post in 1962. While she worked at the Art School for 40 years Margaret also had her own practice and undertook a variety of work, including the creation of ship interiors for Caledonian MacBraynes; decorating Ailsa of Troon vessels, including a tanker; working as a colour consultant for Louis Berger; and designing parts of the Glasgow Royal Infirmary. During Margaret’s time she was also involved in many of the School productions and, of course, staff parties. Until relatively recently the GSA staff and students would put on productions, creating the sets, costumes, lighting and the actors! 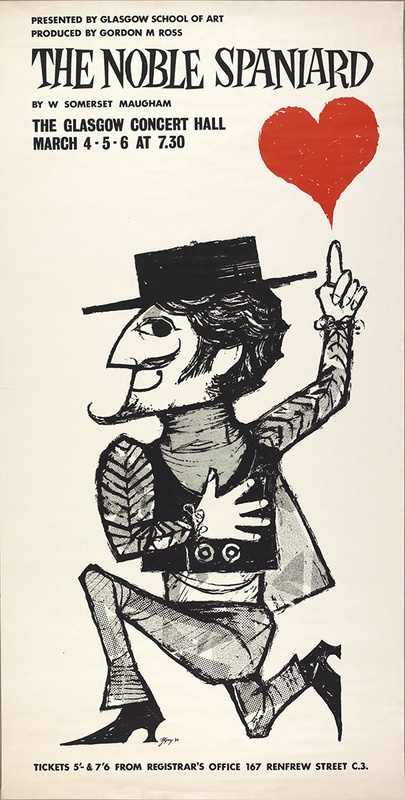 Some of the productions that Margaret was involved in included A Man for All Seasons, The Noble Spaniard and The Crucible. It is perhaps because of this tradition that many of the School’s alumni have gone on to work as actors. 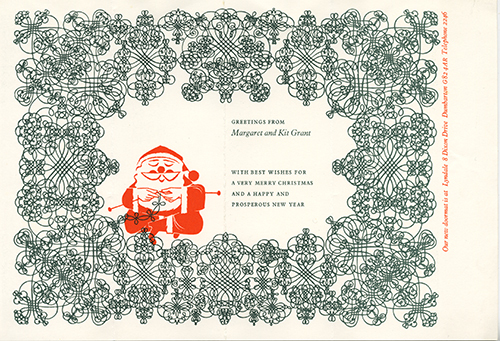 Currently, Christmas cards from Margaret and her husband Kit Grant (Christopher Patrick Cameron Grant) are on display in the exhibition Merry Christmas! 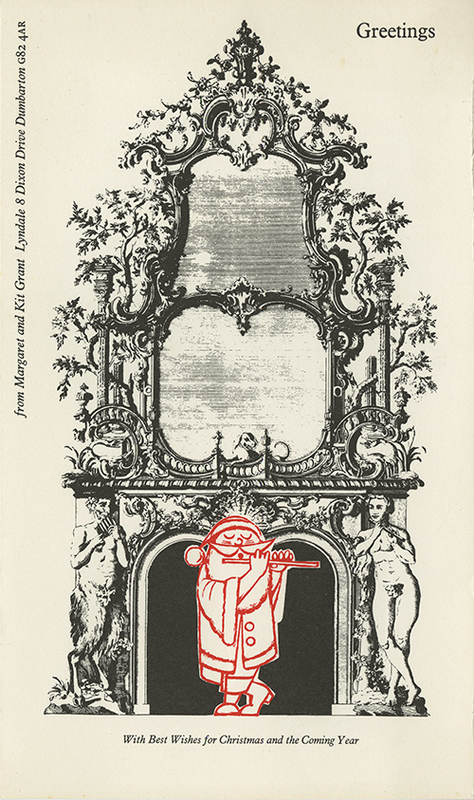 A History of GSA Christmas Cards and a selection of these have been reproduced for sale in the GSA shop. This is but a short biography of Margaret Grant featuring excerpts from a longer oral history recording taken in 2007 and stored in the GSA Archives and Collections. If you would like further information about this please contact archives@gsa.ac.uk. Until next time!